Home / News / Politics / Noynoy Aquino willing to stand against President Duterte: "Handa akong mamatay, para sa legacy ng aking mga magulang." Noynoy Aquino willing to stand against President Duterte: "Handa akong mamatay, para sa legacy ng aking mga magulang." Former president Benigno "Noynoy Aquino III made a remark during his transition on presidency during the May 2016 elections. Aquino said that he is willing to lay down his life to stop former Davao City Mayor and now President Rodrigo Duterte if he throw away freedom to the Filipino people and declare Martial Law which his late father Benigno "Ninoy" Aquino Jr. has martyred for. “Hindi ko matatanggap na walang nangyari sa pagkamatay ng tatay ko at iba pa nating mga kababayan, libo-libo po. ‘ailangang ibuhos ko ‘yung magagawa ko. Kung buhay ko ang katapat iyon lang ang tangan sa akin, e dapat hindi ganun kaimportante ‘yung buhay ko dahil hindi ko mailalaban ‘yung ipinaglaban ng tatay ko. Hindi magkakaroon ng kabuluhan,” said Aquino. Aquino is considered a national hero because he had inspired many others as “a figure who stood against a totalitarian regime”. What triggered Aquino to speak against Duterte? According to an article posted by Politiko, Aquino said that he was triggered with the interview of President Duterte at GMA News on his memories of Martial Law. Duterte's leadership style is same as former President Ferdinand Marcos where Duterte also threatens to abolish Congress if Senator Antonio Trillanes IV would impeach Duterte of his ill gotten wealth, the bank accounts that Trillanes has been exposing before Duterte won the presidency. “He’s a lawyer but I’m not. But I studied the Constitution and I challenge everyone to look into the Constitution: where is the power of President to abolish Congress? He might abolish the Supreme Court next. But look for it, there is no such right,” said Aquino. Aquino said Congress and the SC were part of the check and balance system to prevent grave abuse of discretion. Aquino also cited that Duterte has a plan to switch the Philippine government to revolutionary, where he said that it was like Martial Law. 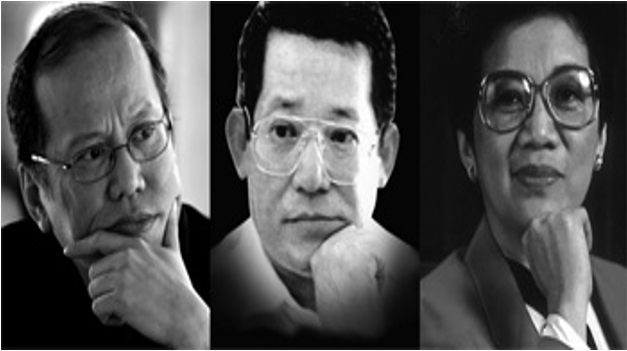 Aquino corrected Duterte who claimed that his mother, the President Cory Aquino, also headed a revolutionary government from 1986 to 1987. “My mother mother didn’t exercise power all by herself. She immediately came up with the 1987 Constitution which was approved by 90 percent of Filipinos,” said Aquino. 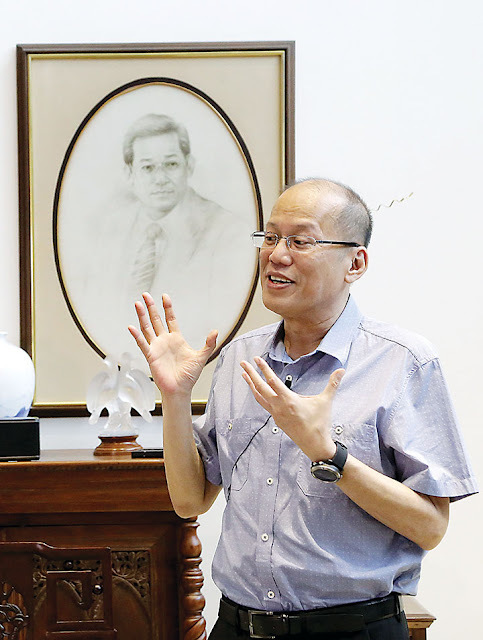 Aquino was also worried on the text message he received from different sectors telling him that he was the only one who could stop the rise of an uncouth and bullying president with no respect for laws or women and children.